The 2015 general elections are almost here and there are handwritings on the wall that can be seen in the political landscape of Nigeria. The South West and the middle belt, but emphatically the South western region will be the decider of who emerges as the next President of Nigeria. The phrase "swing states" ‎is a political term coined in the United states. Swing states in the US are states that are neither democrat or republican strongholds but are more like neutral states. Any candidate (republican or democrat) who is able to win the swing states along with his party's stronghold state is most likely to become the winner. Example of Swing states are : Ohio,Colorado, New Hampshire, North Carolina, Iowa, Virginia to mention a few. Here in Nigeria, it is different but the swing states and stronghold states in the 2015 elections will be decided largely by ethnicity, maybe religion and then issues. This is to show how nascent our democracy is despite the growth and gains we have made after almost two decades of democracy. The South South and South East states are Pro- Jonathan and will overwhelmingly vote him because they are his people hence both regions are his strongholds. The North East and North West and some North Central state(s) like Kwara will vote Buhari because the man is idolised in the North and he is also a Northerner ( assuming Buhari emerges the APC candidate which is most likely). The South West region is neutral in this matter because there is no candidate from the region so there is no ethnic affiliations with any candidate in the elections. Whereas in 2011, the region overwhelmingly voted Jonathan the same cannot be expected to occur in 2015. 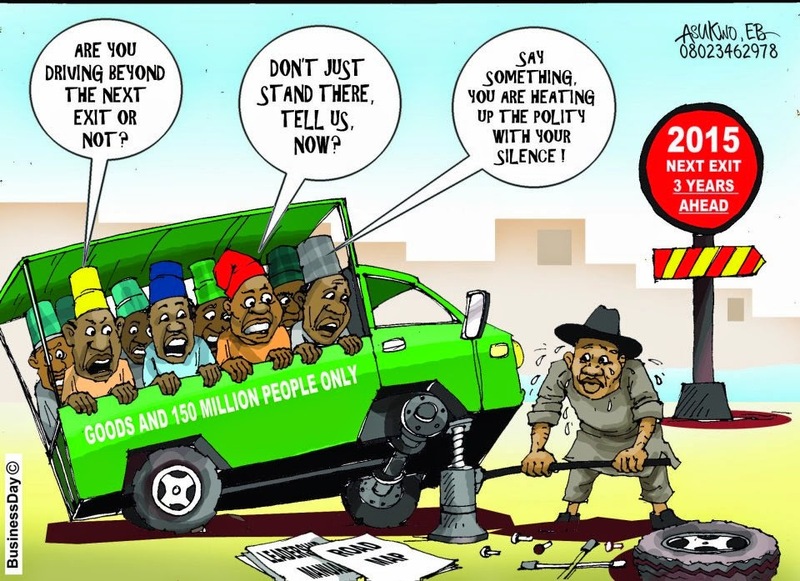 Many waters have passed under the bridge and public opinion in the region is divided concerning Jonathan's candidature. The fact that the region is an All Progressives Congress (APC) stronghold is an advantage for the opposition but nothing is guaranteed. The Middle Belt is predominantly Christians and the scourge of Boko ‎Haram among other issues can tip their support in Jonathan's favour but their few numbers and states (Benue,Kogi,Plateau) and the Muslim population there still makes it's influence in deciding the outcome of the election minimal to the South West. That APC has the majority states in the South west is not a guarantee for their victory in 2015 presidential elections. The 2015 presidential election shows that voting patterns can differ from gubernatorial to parliamentary to presidential elections. Whoever captures the majority votes in the South west most especially and the middle belt will almost certainly occupy Aso Rock come 2015.